Are you ready for Father’s Day next weekend? The list below should give you ideas on how to celebrate without spending a fortune. 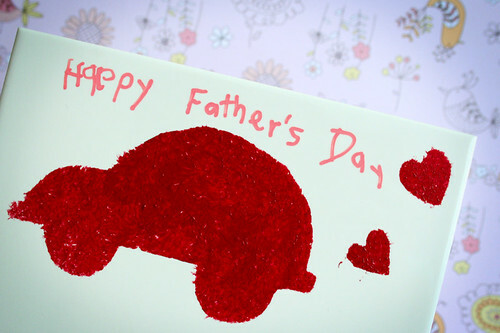 I think most Dad’s love homemade presents and gifts from the heart. If you don’t read anything else on this list, please check out this list of 600 Money Saving Tips from the Yakezie Challenge group and put together by Deliver Away Debt. Money Crushhad a great idea for a smart-phone app and made it a reality. Learn how you can make an iPhone app when you don’t know how to program. Make sure you know the 25 must visit online travel sites when planning your next trip. Money Help for Christians must have inspired by planning his recent vacation. PF Firewall shares 60 ways to feel luxurious without the price tag. My favorite is using an automatic coffeemaker. It grinds the beans fresh each morning for a delicious Starbucks coffee experience without the price. If you’ve recently had bad romantic bad luck read 10 rules to get over heart break and move on from Narrow Bridge. Girl with the Red Balloon has 8 tips to give up soda pop and she’s made it a month. I’m going to give it up as soon as I’m out of my current stash. Is it better to live on the West Coast or the East? According to Financial Samurai the NBA finals prove location matters. Don’t miss his take on east coast living. Yes, I think it is really that bad. Barbara Friedberg Personal Finance shares her secret to cutting your debt immediately with simple action steps and stories to back it up. Make sure you don’t do the 10 things broke people do that keep them broke shared by Smart on Money. You probably know already that I’m a fan of Costco. Funny About Money found it pays to shop where there is generous return policy. Baby Boomers Blog Carnival Forty Third Edition @ Baby Boomers U.S. I will probably write a post about why The West Coast rocks… but it’s kinda like saying the night is dark. Ain’t it obvious? Sounds fun! We’re actually going to brunch at my sister-in-laws. I think I’ll keep my addiction to coffee though (at least for now).